I want to send out a big hug to all blogging mothers. What you do is hard. What you do is making a difference. In honor of Mother's Day, I want to give a shout out to my best friend, spiritual mentor, shopping partner, advice-giver, idea-bounder-offer...aka my MOM! I *LOVE* children's books. I read them to my fifth graders every day. They love them. I think they are such a valuable tool in introducing and solidifying a concept before, during, or after a lesson. Today I'm linking up with Amanda and Stacia from Collaboration Cuties for their "Must-Read Mentor Texts" linky. This week, the subject is MATH. Here's a fun one for teaching math - Yes, I believe that children's books can and should be used often, even in math! 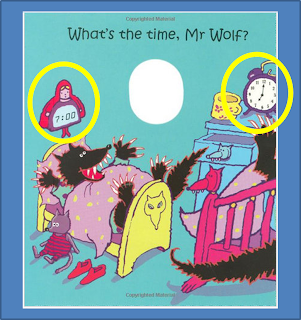 It is a fun POP-UP book that engages students in the day in the life of a wolf and teaches/reinforces the concept of reading clocks. I have been troubled this year by how much my students struggle with reading analog clocks. They will constantly ask me throughout the day, "What time is it?" and when I point to the analog clock on the wall, they sneak over and peek at the "clock-out board" that has a digital clock on it. "Don't you wear a watch?" I asked them. They smiled and pointed to their cell phones and iPods. So we went back to the basics. I got out the plastic yellow clocks and we practiced. And practiced some more. 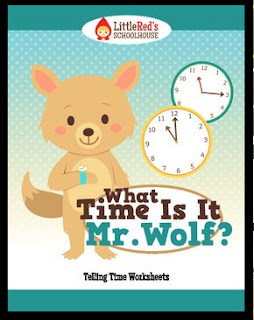 This book was a fun part of our unit and it helped the kids recognize the different systems of telling time and how to distinguish between the two. Often I will use a sticky note to cover up all of the digital clocks on the pages and have them tell me the time using the analog clock. Then they can self-check by lifting the sticky note. They really enjoyed the activity - and it gave them practical, hands-on practice that definitely improved their skills. 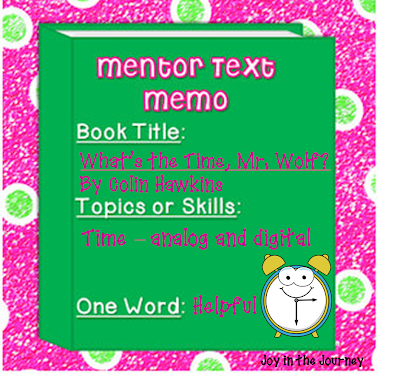 Got a mentor text to use when teaching Math? "Tricks of the Trade Thursdays"
As the end of the school year dawns, I want to hear your ideas for gifts - gifts you give to students, to coworkers, to special's teachers, to administration, etc. Also, you could share one of your favorite gifts you've received as a teacher.